Thank you for the overwhelming response to our survey. Here is the summary of the results, I hope you enjoy the read! 872 participants completed the survey and they rated Freshness the most important factor when choosing a grocery store. What about Sasha's Fine Foods? 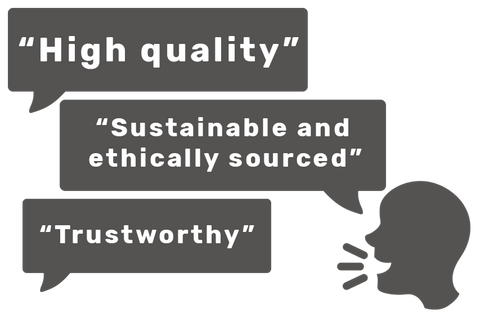 More than 70% of survey participants described Sasha’s Fine Foods as high quality, sustainable and ethically sourced and trustworthy. 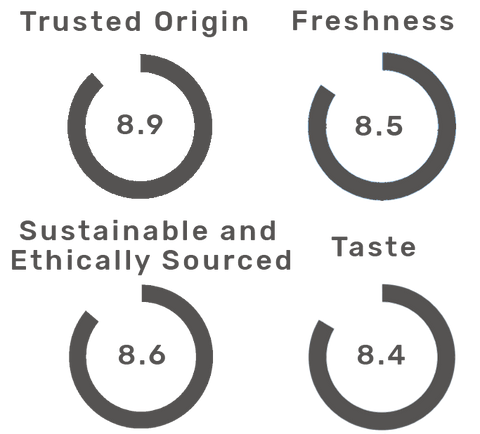 These ratings are on the quality of our products and are all out of 10. What if Sasha’s Fine Foods were to offer fruit and veg? More than half of all survey participants said they would be likely to purchase fruit and veg. Enter your email below if you would like to receive a notification when we launch fruit and veg. Our customers love not only our products, but also our customer service. Participants rated our customer service over 8 out of 10. Almost 40% rated it excellent (10 out of 10). More than 80% of our customers said they did/would recommend us to others. Join our fabulous "Refer a Friend" program to make the most out of your recommendation. Click here for more information. "I'm living in Singapore for a year and Sasha offers the best products at a competitive price. I love all the service and specially the kindness and courtesy from your delivery employees they even know my name. Love the freshness and the articles you write. Everything." "Love your blogs. They inspire trust and loyalty." "I love your vision and attention to detail. We have been ordering for 2-3 years and we are so happy we found you!!" "Love Sasha’s - the only place I trust to purchase our meat from."